Moto E is a wonderful model of Motorola. This model is loved by many Android users. But if you think that you get limited access to your phone, then rooting is the only option to satisfy you. In this blog post, you will learn two methods of rooting Motorola Moto E.
We will talk about Android Root and SuperSU app for rooting your Moto E. So learn the methods carefully so that you can root your device without any hesitation. Now you should learn about the necessary things to do prior to rooting. Here are the to-do list which you must follow in order to do the rooting safely. 1. Keep backup of your device data. Unsuccessful rooting means it will wipe all your device data. So if you don't back up that, you may lose them completely if anything accidental happens during the rooting. So back up your device data before rooting. 2. Collect necessary drivers. To complete the rooting process, you may need some drivers to be installed. So do this before you go for rooting. Note that rooting with Android Root doesn't require any additional drivers. 3. Charge the Battery. Rooting usually takes some time and you can't interrupt during the time. So your device should have adequate charge. To confirm that, you should charge in full or at least 80 - 90%. 4. Select a reliable tool for rooting. This part is crucial as the rooting software can make or break your rooting process. So go for a robust rooting tool that can give you reliability. 5. Learn rooting and un-rooting. You are rooting, fine. But what if you don't like things after rooting? Then you will want to progress back. So learn how to root as well as un-root. Then you will be fine. So these are the pre-requisites you must follow before you intend to root your device. If you miss to follow any of the mentioned things, then you may fall in great trouble. The first solution is Android Root. Android Root is a feature available on dr.fone and who doesn't know about Wonderashare that made dr.fone as a boon for functioning many things on mobile gadgets. Unlike other tools for rooting, Android Root needs only a click to perform the rooting process of Android devices. Yes, you can't even think how hassle free the tool is if you don't already use it. It is fast, reliable and very easy to use tool. So you don't have to worry about its performance as well as usage. How to Root Moto E with Android Root? Now you will learn how to use this tool to root Moto E. Moto E is a popular Android device presented by Motorola. So it needs a good software to root. Otherwise there might be huge risk of rooting if the tool is not reliable. 1. The first thing to do is download dr.fone on your PC. Then install it. 2. Run the software and go to "More Tools". 3. Currently, the "More Tools" has 4 options. There is also Android Root. You will have to go for it as we have already told you that we would use it for rooting Moto E.
4. Now make the connection between your Android device and your PC using a USB cable. You must enable the USB debugging mode on your Android before connecting. Otherwise, Android Root won't be able to recognize your device. 5. After connecting your device to your PC, you will see that the tool is processing further for recognizing it. You will see the progression status too. 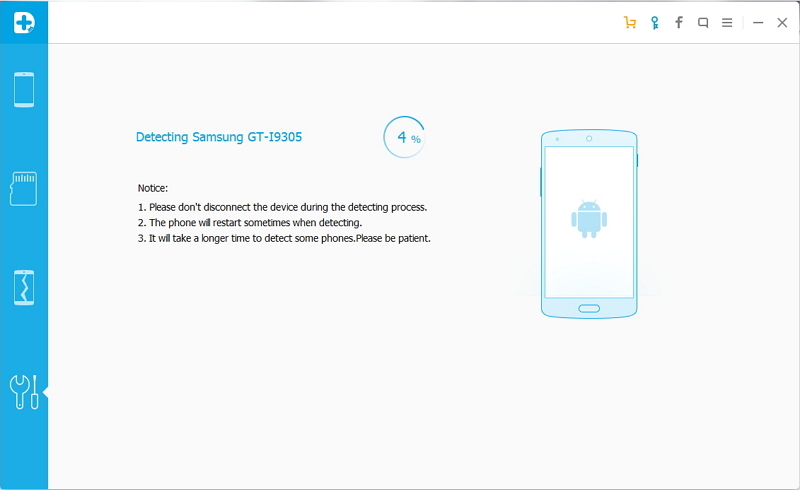 Note that here in the picture, you are seeing a Samsung device is being connected, but the actual scenario will be almost same except the brand and the model name. 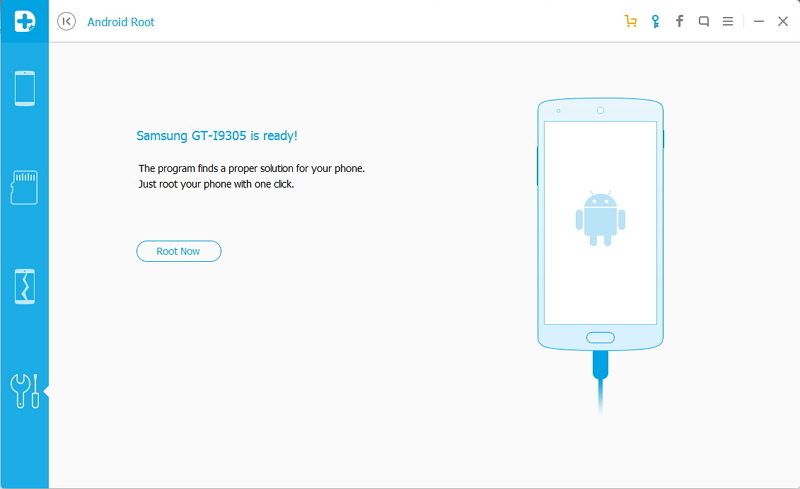 You will see Moto E with specific model instead of Samsung when you will connect a Moto E with your PC. 6. After a while, the recognition will be done with the tool and you will see a new button "Root Now". This is the one click button that will root your device. So press on the button now. 7. After hitting the button, the tool will automatically do everything to root your Moto E. It will take a few minutes to complete the rooting process. Don't do anything such as disconnecting or interrupting until the rooting is complete. 8. Once the root is complete, you will get notification message onscreen. 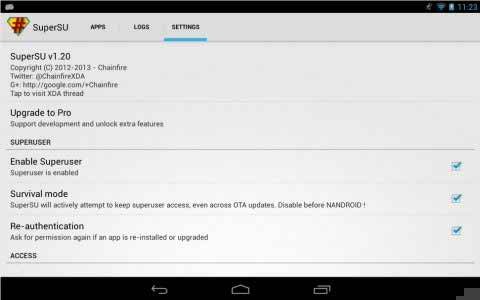 So following these easy steps, you can easily root your Android device without any problem. 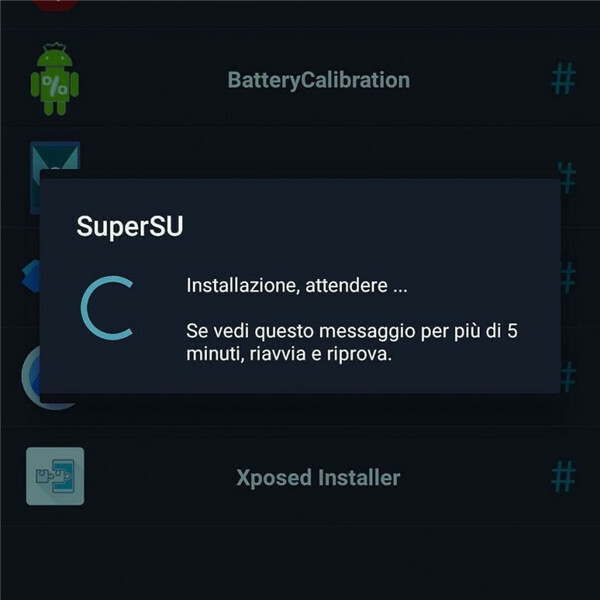 SuperSU is another powerful tool for rooting. It gives you the ultimate room for power user option. This option lets you go deeper into your Android device's data. So for rooting purpose and ultra management functionalities, SuperSU is a good choice. 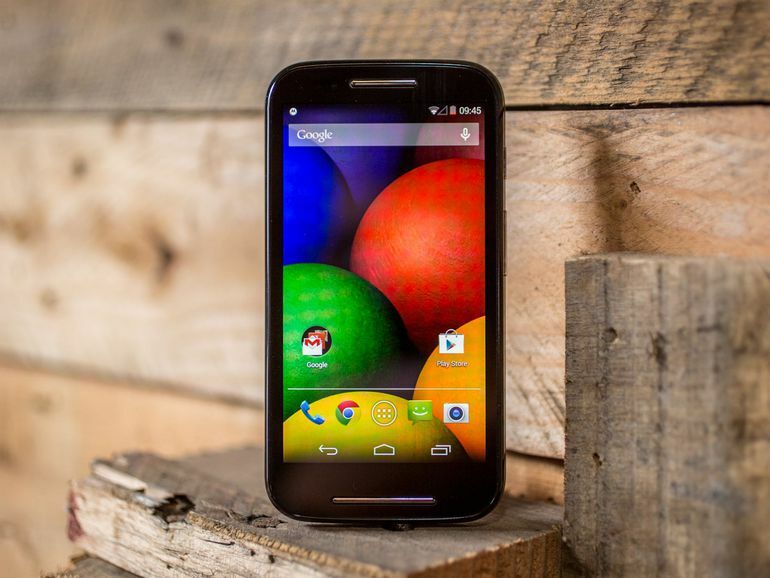 Now learn how to root Moto E with SuperSU app. 1. First of all, download and install the software on your PC. 2. Back up the data of your phone and then switch it off. 3. Now you'll have to go for the recovery mode on your Moto E.
4. From the recovery mode, you will then have to go for "install zip from SD card" and "choose zip from SD card". 5. Flash the SuperSU file after picking it. Then your Moto E will be rooted. 6. Finally, you will have to choose "reboot system now" from the main menu and this will complete the rooting process. Now your Moto E is rooted, so you can make lot of fun with it. So in this post, we have showed two ways of rooting - one is with Android Root and the other one is using SuperSU app. Use any of the two methods which you prefer most. So root your Motorola Moto E and enjoy. Good luck.